Hello and welcome to my first blog. I’ve not always been an avid reader but that is not to say I didn’t have books around when I was younger. I remember receiving book tokens as prizes at Sunday School and I still have one of these well loved books. It was a book on poems published in 1975 (yikes! ), it is called Crickety Cricket! 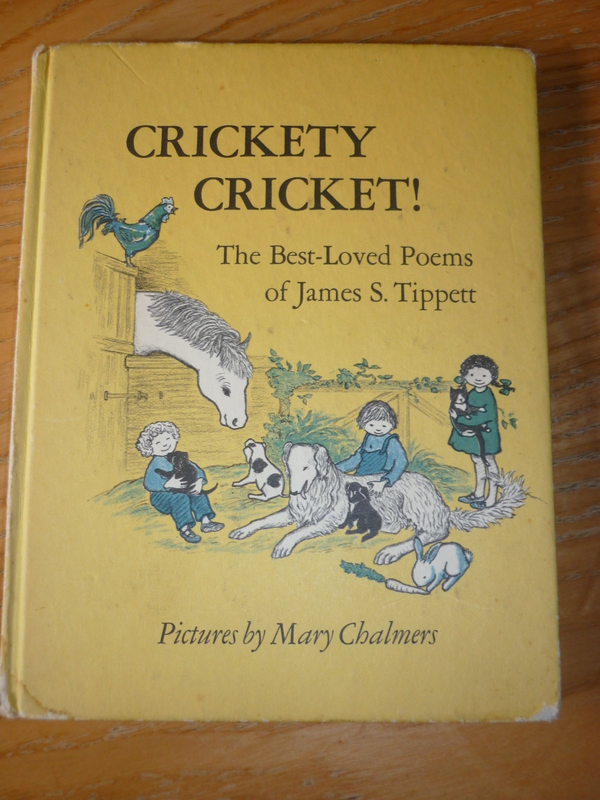 The Best Loved Poems by James S. Tippett. 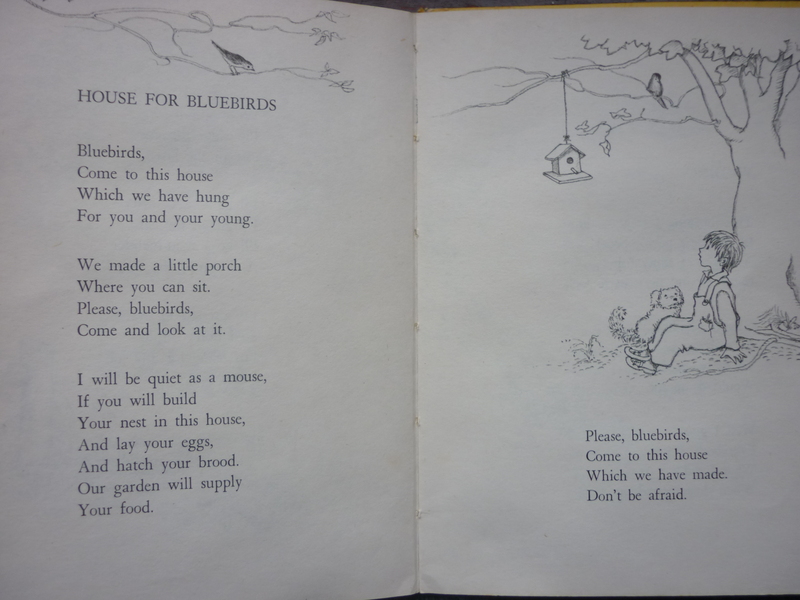 It has lovely little poems in with delightful pencil drawings by Mary Chalmers. I next remember getting engrossed in books when I discovered the Twilight series by Stephanie Meyer about 6 years ago. Who would have thought millions of people would become engrossed and mesmerised by vampires and werewolves! Since then I’ve continued to read but I never read any other vampire style books as I felt nothing could compare to Edward and Jacob! When I purchased a kindle my love of reading accelerated. What a marvellous contraption an ebook reader is. A small device roughly the size of a paperback carrying thousands of books, I was impressed! 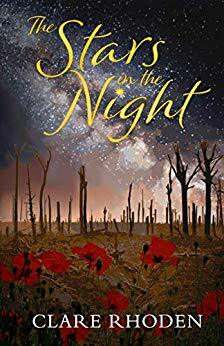 With the boom of ebook readers there are many books available that are free and below the price of £1.00 so reading via an ebook can be accessible to all. 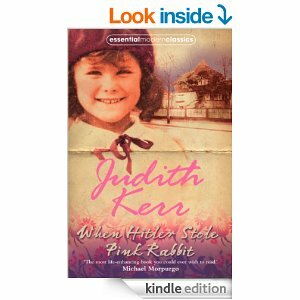 My most recent enjoyed book was called When Hitler Stole Pink Rabbit by Judith Kerr. I chose this book as I am completing a challenge and I needed to read a forgotten classic. I had tried to read Pride and Prejudice but was getting a little frustrated with Jane Eyre’s long winded style of writing so I searched for a fresh classic book and came across this book. This was a delightful, honest, funny, thought provoking book. Written from the child, Anna, point of view and also loosely based on the authors childhood. Anna was a 9 year old German born Jew living in Germany just before Hitler became into power. Because of Anna’s fathers job as a writer, who wrote anti Nazi articles, Anna and her family had to flee from Germany and live the life of a refugee in a foreign country. This story follows their escape and their new life. The story ends 3 years later in another new country and I can’t wait to continue to learn how Anna and her family cope. This book was written for the young adult audience originally but I can thoroughly recommend it as a charming, insightful book for all. Apart from reading I also enjoy crafting, specifically paper crafting. Just recently I’ve tried decopatch, which is the art of turning something plain and boring into something pretty and exciting with paper and glue. 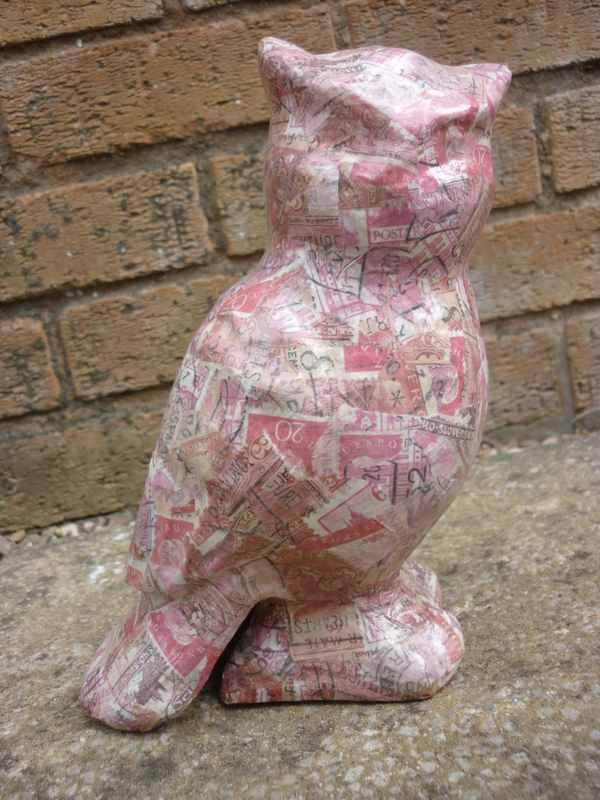 For my first attempt I purchased a plain paper mache owl , a pack of patterned papers, glue brush and I just used pva glue and had fun ripping paper and sticking onto my owl, I was quite pleased with the result. 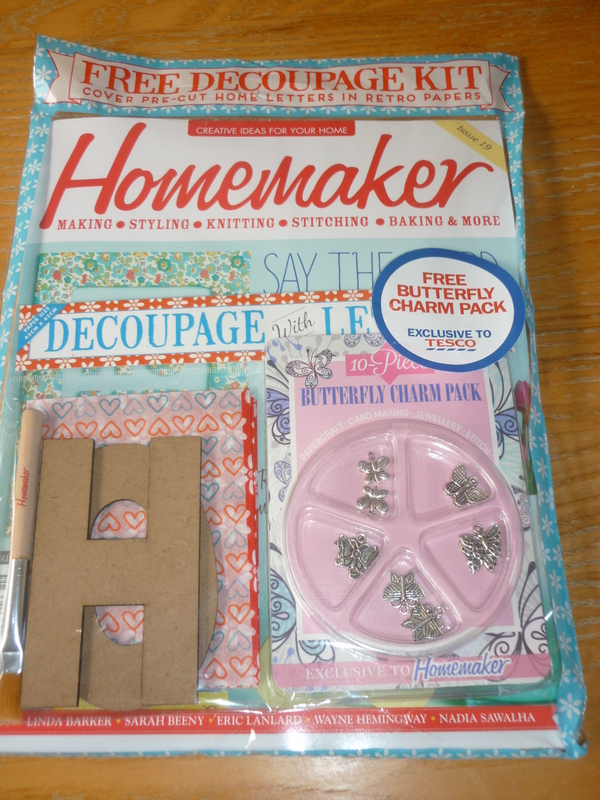 While shopping today I noticed the latest Homemaker magazine has a free decoupage kit with mdf letters spelling out HOME, patterned papers and glue brush. So all you would need to try this new craft is pva glue. I picked up my copy of the magazine from Tesco which included an extra free gift of metal butterfly charms however, I am sure the magazine is available from most magazine retailers. My other shopping treat today was a poppy plant from Dobbies. It is 100 years this year since the start of the World War. 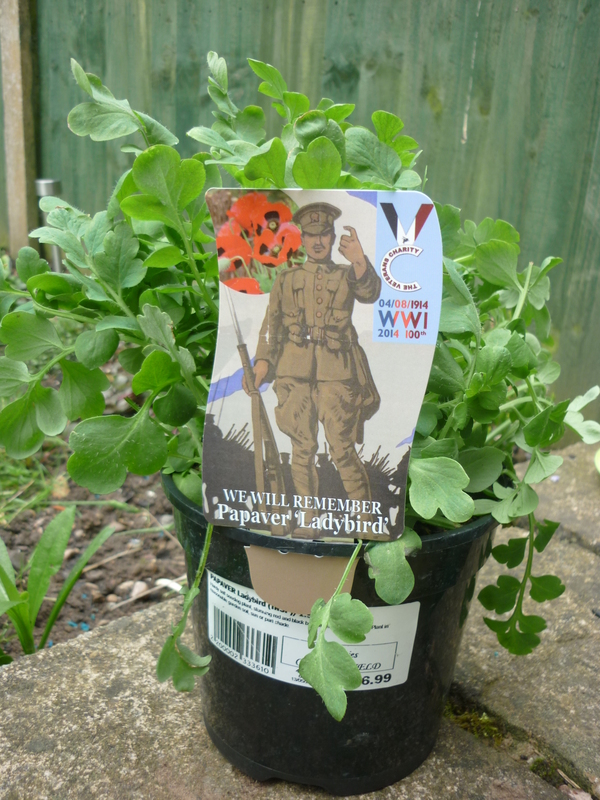 A percentage of the proceeds of the poppy plant will go to The Veterans Charity. 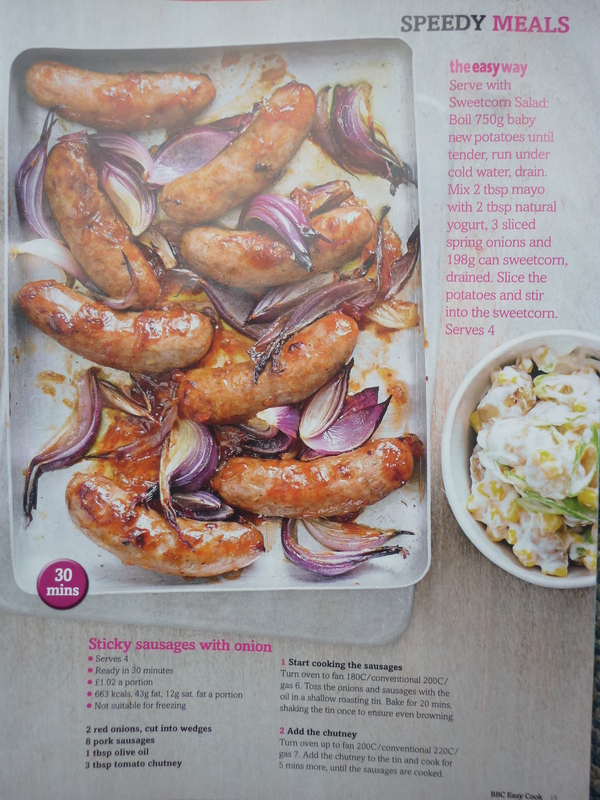 I love finding new recipe ideas and one recipe I’ve tried recently was from the BBC Easy Cook magazine June 2014 issue, Sticky sausages with onion. This was an easy, tasty recipe that was loved by all. 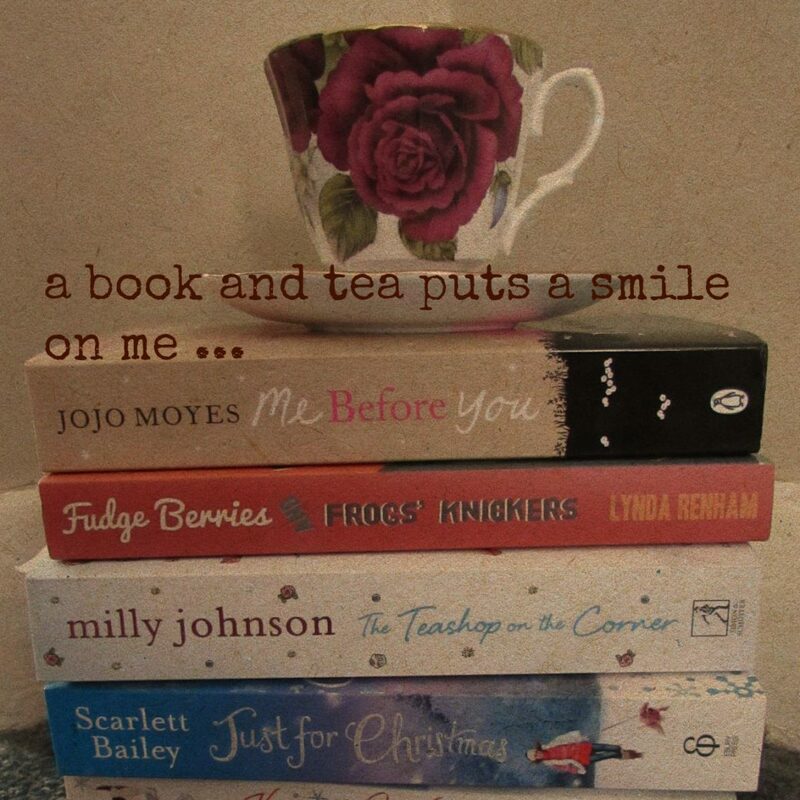 Well, I hope you’ve enjoyed my first blog … I’m just about to start the new novella by the lovely Milly Johnson, p.s. its FREE at the moment, grab it while you can.